For this project, MAST ICT created new custom tables in iMIS, built new pages for CQI’s staff website, created new dashboards and reports, automated new processes using TaskCentre and created an online portal for partners to maintain their own details. The Chartered Quality Institute (CQI) is the leading professional body for the advancement of quality practices both in the UK and internationally. It provides training, education and support for the quality professionals and individuals responsible for quality management. CQI also owns the International Register of Certificated Auditors (IRCA). Described as the leading professional body for management system auditors, IRCA represents 10,000 auditors in 120 countries. They also manage the approval of auditor training courses, which are delivered by approved training organisations. Until recently CQI and IRCA were marketed as separate organisations, but there is now a move to ‘dual brand’ the organisation. This means that the existing, but separate, training offerings from CQI and IRCA are now replaced by a single portfolio of courses. With members and auditors managed in a single iMIS database, MAST ICT were asked to extend CQI’s existing iMIS database to support and manage the new business processes. 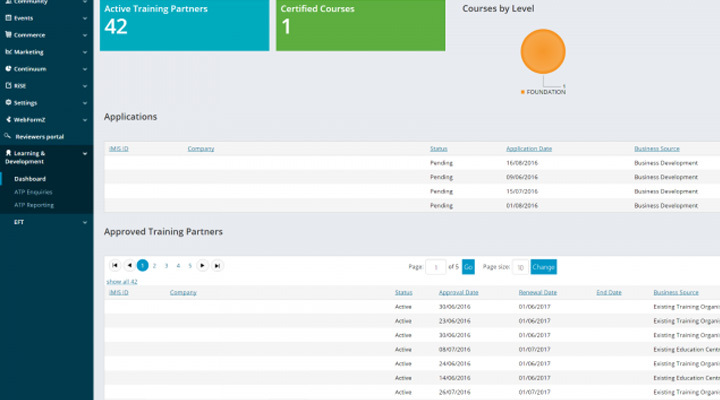 These new processes included provider approval, course certification and maintenance, credit control and assurance, student data and feedback, reporting and analysis. 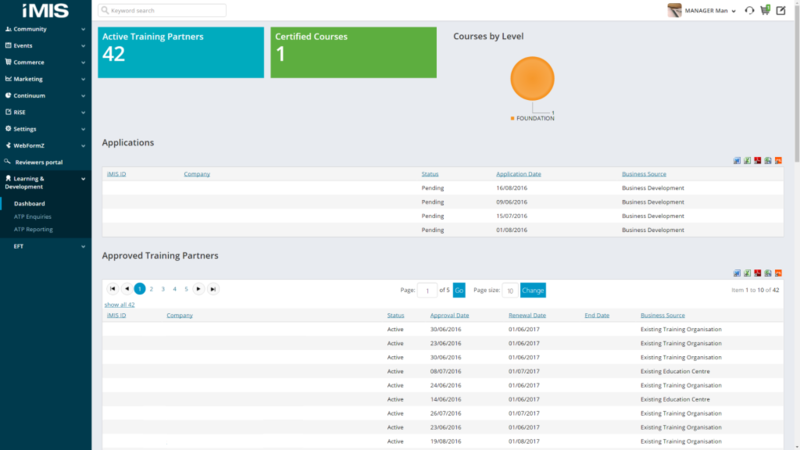 While there were a lot of business processes to add into the existing database, this needed to be done under strict time and budget pressures to ensure that the iMIS database was ready for when the single portfolio of courses was launched. On top of this, MAST ICT took the opportunity to automate many of the business processes, so that the additional processes didn’t need an equivalent increase in staff resource. MAST ICT created new custom tables in iMIS, built new pages for their staff website, created new dashboards and reports, automated many of the new processes using TaskCentre and created an online portal to allow Accredited Training Providers to use to maintain their own details, including the upload of training attendee information. As well as core iMIS and TaskCentre, MAST ICT used a few third party add-ons, including WebformZ from iFinity and FormToolZ from Zengage. The use of these add-ons greatly extended the features and functionality of the core CRM, while allowing further automation to take place. All of this project work had to be done to tight timescales in order to ensure that the back-end processes were ready for the launch of the new courses. And now that CQI have live data, MAST ICT are regularly on site to review the processes and implement improvements. MAST are now the main point of contact for CQI’s development work, as they provide support and security that is essential to CQI’s work.